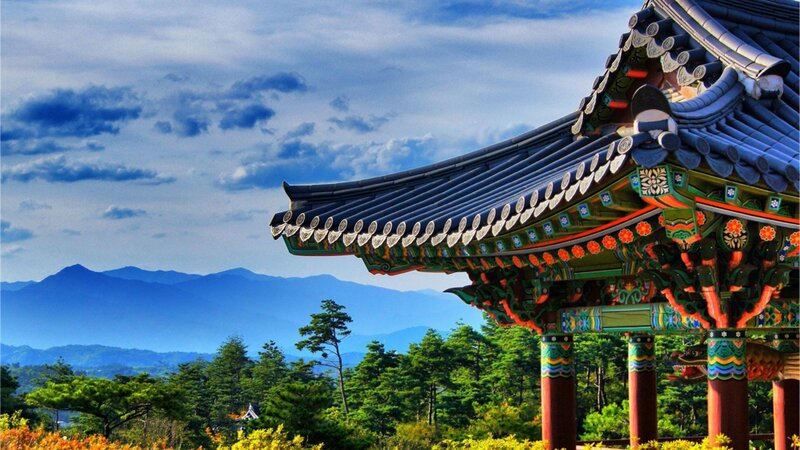 If South Korea is one of your dream holiday destinations, you may need to check this travel guide. South Korea has been well-known worldwide since the booming effect of K-Pop and K-Drama. Many tourist attractions were shown in various scenes of K-Drama make many people courious and want to come to the real site. But Korea is not only about the music or film industry. There are many unique cultural places you can visit in Korea. If you are planning to go to Korea especially Seoul for holiday, this travel guide can help you. The first travel guide for your Seoul trip is The Han River. Han River is one of the iconic place in Seoul. You can also rent a tour boat and enjoy the view around the river. The operational hours of the boat tours usually start from 11 AM to 10 PM. From the boat you can admire the beauty of Han River, Namsan Tower, Jamsil Sport Complex and various other tourist attractions. Sometimes people rent the boat for the wedding ocassion, anniversary events and also live music. The next travel guide for Seoul trip is The Presidential Blue House. After enjoying the beauty of the Han River cruise tour, take a look at a complex called the Carousel Presidential Cheong Wa Dae or known as the Blue House. The complex is more beautiful with the view of Mount Bugaksan behind it. Anyone is allowed to take a tour around the presidential Complex Carousel for free. But remember, the Blue House is closed on Sundays, Mondays and national holidays. The next travel guide for Seoul trip is Gyeongbokgung Palace. On the second day in Seoul, you can see the Gyeonbokgung Palace which is an icon of Seoul. Compared to the five existing palaces in Seoul, Gyeongbokgung is the most beautiful of all. As in the Blue House, you can also follow a tour of Gyeongbokgung Palace. There are tours every day except Tuesday. The next travel guide for Seoul trip is Gwanghamun Square. Seoul also has a square that became the site of numerous political activities and some events. You could see many citizen activities that blend well with the background of Seoul Gyeongbokgung Palace and Mount Bukaksan. The next travel guide for Seoul trip is Myeongdong. Treat yourself to a shopping spree at the famous Myeongdong district which well known as a Center for shopping. A variety of brands for everyday products can be found here. Come at night to see the festive atmosphere. The streets of Myeong-dong more complete with the a variety of the family restaurant serves a menu of Korea to Western-style and Japanese fast food. The next travel guide for Seoul trip is Itaewon. Aside Myeongdong, Itaewon is also one of the Seoul shopping centre. The different is Itaewon is a place where almost all tourist from a wide range of countries mingle perfectly. The last travel guide for Seoul trip is Namsan Tower. Enjoy your last day at Seoul by enjoying the beauty of Seoul from the top of Namsan Tower. Climb to the top of a peak in the afternoon to see the sunset and the city lights at night.